Measles is currently circulating around Hamilton and the surrounding areas. The Waikato District Health Board has confirmed 77 measles cases in Hamilton in recent weeks. Of the 77 cases, only four have been immunised with two documented doses of the measles, mumps and Rubella (MMR) vaccine and three cases have received one documented dose of MMR. Measles can be a very serious illness, with one in three sufferers experiencing complications such as ear infections, pneumonia, bronchitis or diarrhoea. While one in 10 on average requires hospitalisation, admission rates in this outbreak have been higher. Immunisation is the best protection from this potentially serious disease. Immunisation protects not only yourself, but also blocks the spread of this disease within your communities. Unimmunised people who have had contact with a person with measles, will normally be advised to stay at home and away from all public places, school or work for 14 days after their contact. If you are not immune it is important to be aware of the symptoms of measles. The early symptoms of measles are fever, runny nose, sore red eyes and cough. After 3-5 days a red, blotchy rash appears on the face and head and then spreads down the body. • Stay at home and away from public places (such as sports events, gatherings, parties, school, work, child care, shopping centres, public transport and so on). • See your doctor as soon as possible so a diagnosis can be confirmed. However, phone the surgery ahead to alert them of your symptoms and to allow them to make arrangements to assess you safely and without infecting other people. • If you are unable to visit your GP phone Healthline on 0800 611 116. Measles is spread by tiny droplets in the air and is one of the few diseases that can spread so easily to those nearby. It is spread from person to person through the air by breathing, sneezing or coughing. Just being in the same room as someone with measles can lead to infection if you are not immune. The Ministry of Health have more information about measles available on their website. If you need to make an appointment with Work and Income, and you need a NZSL interpreter, it is best to book through MSD Deaf Services. They will make your appointment, book a NZSL interpreter for your appointment and let you know when and where your appointment will be. If you already have an appointment (e.g. you made an appointment at your local office or you received a letter asking you to visit your local office) you can still contact MSD Deaf Services and they will make sure a NZSL interpreter is booked for your appointment. There will be a buffet lunch to celebrate the Auckland Deaf Senior Citizens Club's 25th Anniversary. The bar will open at 11am and the lunch will start at 12pm noon. Contact Norman Norris for tickets. Email normcol@xtra.co.nz. RSVP before 3 September 2014. Australia’s John Girvan has earned himself the ultimate birthday present in the form of the 2014 New Zealand Deaf Poker Championship trophy and NZD $1325 in prize money! 39 players, including nine from across the Tasman, descended upon SKYCITY Auckland for this historic event on Saturday, June 21 - the first-ever Deaf poker tournament to hosted by a New Zealand casino. Although the field was slightly smaller than in 2013, there was no lacking in star power. The Kiwis had plenty of big names, including Tony Walton, Dylan Louie, Opeti Finaulangi, Robert Cairns, Amber Shaw, Susan Hamilton and Julie-Anne Taylor, who was the last woman standing in 16th place. The Minister of Civil Defence has publicly released the revised National Civil Defence Emergency Management Plan (revised Plan) for public consultation and now welcomes written submissions. The National Civil Defence Emergency Management Plan sets out the hazards and risks to be managed at the national level and the civil defence emergency management necessary to manage those hazards and risks. It also sets out the roles and responsibilities of central government, Civil Defence Emergency Management Groups and other agencies such as lifeline utilities, emergency services and non-government organisations. The current Plan has been in force since 1 July 2006. Under section 46 of the CDEM Act 2002, the Minister of Civil Defence must review the Plan every five years. The review commenced in 2010, and determined that, overall, the Plan was adequate, but a number of aspects could be improved. The review was halted at the time of the 22 February 2011 Christchurch Earthquake to enable government to focus on the response to the earthquake and for reviews of the response to be carried out. The revised Plan has been amended to incorporate all relevant recommendations from these reviews, as well as advancements in national civil defence emergency management planning arrangements. The revised Plan, a summary of amendments, and a feedback form are available online at www.civildefence.govt.nz. Submitters are required to state those aspects of the revised Plan that they support, those aspects they oppose, the reasons for the support or opposition and any specific alternatives they wish to recommend. Submissions close at 5pm on Friday 25 July 2014. Any queries can be directed to NationalCDEM.Plan@dpmc.govt.nz. Free event for the whole family. Dress up warm and come to the Town Basin for Whangarei’s newest Winter celebration. 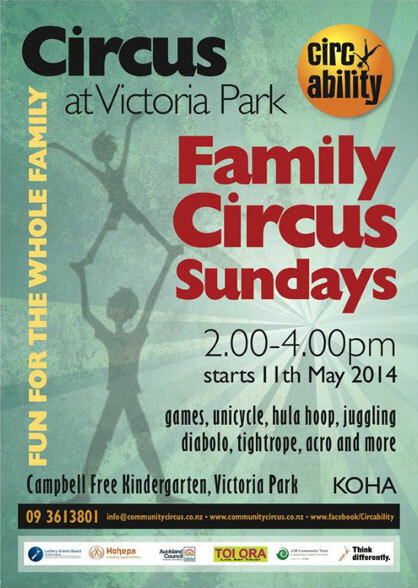 Awesome entertainment, delicious kiwi kai, free activities for the kids! Bring cash as the only ATM available in Town Basin is in front of The HUB. General activities and food stalls 1:00pm to 7:00pm around Town Basin. Visit this website for a full list of everything. Every purchase on the day goes in the draw from a free $250.00 pendant!!! 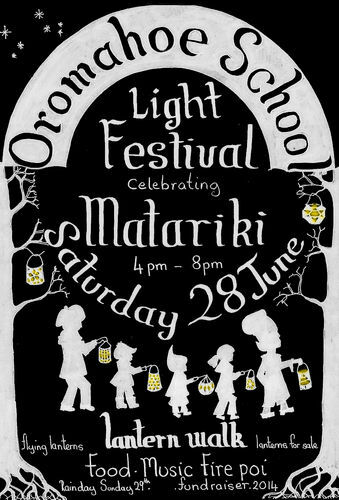 Come and celebrate Matariki and the mid-winter solstice under the stars at Oromahoe School. Take part in our famous lantern walk, indulge in pizza from our wood fired oven and sample a wide variety of delicious foods and winter warmers. Be sure to get your raffle tickets for a chance to win one (or more!) of our prize packs, then enjoy the evening's entertainment of live music and fire displays. The kids will love the magical atmosphere, twinkling lights, and costumes. It's an enchanting evening festival that creates lasting memories! In the event of rain the Light Festival will be held on Sunday June 29. Games, unicycle, hula hoop, juggling, diabolo, tightrope, acro and more! Communication support will be provided for Deaf people. The Alliance Française Auckland and TAPAC are thrilled to host world-acclaimed French mime Laurent Decol as part of his New Zealand Tour 2014. Laurent Decol has completed over 2,000 performances and workshops in nearly 100 countries. This is a visual theatre show with no speech involved. A group of pharmancy students want to meet with a focus group of 8-12 people who have hearing or visual impairments or live with a physical disability. They want to find out about their views on pharmacy and other primary health care services. The focus group will take approximately between 1 to 2 hours to complete. As a thank you all participants will be entered in a draw to win a $50 Westfield voucher. If you are interested you can download the Participant Information Sheet which has more information about this focus group. If you wish to take part in the focus group, kindly contact Trudi Aspden via e-mail t.aspden@auckland.ac.nz to be given more information about the focus group and receive a consent form to read and sign. After school caregiver wanted for household of 3 young children. Five days per week from 3pm to 6pm with cooking, feeding meals, bathing, tidying up, household chores etc. Require caring, compassionate, mature, responsible, energetic & enthusiastic person with full driver’s license. Experience working with children with special needs/autism preferred, but not necessary. Send CV to frianwadia@gmail.com or call Frian Wadia 09 626 4115 / 027 274 4424. Dame Evelyn Glennie returns to the Auckland Philharmonia Orchestra this year to perform in a concert that is already almost sold out. Gather a group and get in quick to witness this talented solo percussionist who has taken on the world with her music. Dame Evelyn Glennie has been profoundly deaf since the age of 12. However her hearing loss has brought her a deeper understanding of and connection to the music she loves. Her inspirational approach to music has resulted in more than 80 international awards (including a number of Grammy Awards) and her dame hood 2007 for her work in music. Glennie performs leading New Zealand composer John Psathas’ exciting View from Olympus for percussion, piano and orchestra. A thrilling performance for the ears and eyes as this piece employs the full force of 15 instruments. Get a group together and purchase eight or more tickets to receive group prices, which range from $41.30 in C reserve to $85.05 in our deluxe seats (19% off public ticket prices). Call Ina or Blair in our ticketing office on 09 623 1052 or email ticketing@apo.co.nz or book at ticketmaster.co.nz. PS. An Induction Loop System is available with full coverage in most seats. Just tune your hearing aid to the ‘T’ or ‘tele’ position. Patrons wishing to use the hearing loop who have any queries, please contact Ticketmaster on 09 970 9700. We can play pool, have a few drinks, and then wait to be seated in the restaurant where we will be treated to a delicious variety of carved meats, hot vegetables and salads. There’s an area to play darts, snooker, 8-ball and indoor bowls. There’s a gaming area, an area to watch the Trackside or Sky on a large screen. There is something for everyone! Important: Because this is a members-only club and we only have a few that are already members, we are required to provide a list of names for the people that will be visiting the club. So, you will need to text or email the contact details above to book for the evening. The Workingmens’ club needs to know to book restaurant tables, for how many. Come on guys! Let’s support each other for a wonderful evening out. Bring a friend, Deaf or hearing, and have fun!!! Kat is the inspiring woman behind top designer jewelry branch Kagi. She grew Kagi from her kitchen table 8 years ago to now being stocked in over 300+ stores across Australasia. Kat (Entrepreneur of the Year finalist) will share the entertaining story of how she built Kagi and the courage it took when the times got tough. Kagi has featured in Deloitte's Fast 50 for the past 3 years and has been awarded Emerging Exporter of the Year 2013 and Fastest Growing Exporter 2012. Kat is a proud supporter of The Child Cancer Foundation and has created signature designs for the Foundation as well as generously teaching children on the cancer journey how to make their own unique Kagi jewellery. Limited seating so secure your ticket today! The Hamilton Gardens Discovery Trail will take children on a journey where they can explore an enchanting world of secret themed gardens. Behind every door there is a magical story and a portal through time and to far-flung corners of the world. Explore a lush tropical garden, mystical ancient China or let their imaginations loose in the Renaissance Prince’s 16th century garden. Download the free Discovery Trail sheet to see where the bees, hens and woodland critters are hiding. 1-2pm: Celebrate Matariki with your family and make a star at our Matariki craft tables and make your own Matariki star. 3pm: Te Iti Kahurangi Kapa Haka Performance. The highly acclaimed kapa haka group “Te Iti Kahurangi” will perform in our galleries. 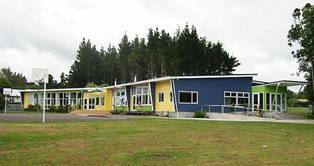 Celebrating Matariki and the launch of He Pukapuka o te Kahui Tohora with activities for 2-6 year olds. Activities: Carnival rides, games, colouring competition, prizes, face painting, storytelling, free ears, eyes and teeth checks, and kai. Get creative with the kids in these fun Phantom City themed craft activities. For further information contact Maiomi Murgatroyd on 07 351 8055 or email Naiomi.murgatroyd@rdc.govt.nz. Rotorua's Village Green will be transformed this June/July into a winter wonderland with a magical brand new ice rink! Whether you are a seasoned skater or a learner, the Paradise Skating staff will be on hand to ensure a premium skating experience. Opened daily on dates above with heaps of activities and weekly events to add to the excitement! Tania Stuart is out of the office from 27 June to 12 August. Egmont Village School is hosting their 4th annual Mid-Winter Fun Run and Walk. There are 3km, 5km, 7km and 10km distances. 10km walkers start at 9:30am, everyone else starts at 10am. Great spot prizes up for grabs, as well as a BBQ and other food for sale. Keep an eye out for these walkers and runners on Sunday! Location: Bin Inn, 61 McLean Street, Waitara. A talk and show of different cheeses from around the world. Cheese tasting and a chance to buy. Location: Garden Shed Chocolate Studio, 2 Armstrong Ave, Waitara. Do you need to have your signature witnessed, make a declaration, swear an affidavit or affirmation or have originals or copies certified? A Justice of the Peace will be on hand to help every Tuesday and Saturday. The Puke Ariki Mobile Library is popping up all over the place these school holidays! Monday 7th July it will be at Brooklands Zoo! This is a touring exhibition. The Challenge is to interpret the theme “Growth” and create a quilt measuring 60 cm wide x 120 cm high. First race: to be confirmed and track conditions to be confirmed. Hawke's Bay Hunt Race day not only plays host to some spectacular jumps racing action but will again this year feature the annual Mid-Winter Christmas party (see below)! Reserve a space for your Social Club, workmates or friends and we’ll brighten up your winter with warming festive treats, live entertainment and first class racing action. Brighten up the mid-year with a fabulous mid-winter Christmas party at Hastings Racecourse. You’ll be catered for in a beautifully themed room where you can sit back and enjoy the hospitality, premium jumps racing and warming festive treats – yum! Bring along your social club, colleagues, friends or family – there’s something for everyone at this Mid-Winter Christmas party. Intoxicated patrons will not be served, please enjoy responsibly. The IMS Payroll Hawks want your support courtside as they work towards the all important championship final in 2014. We believe our roster this year will not only excite you but entertain you and we want you along to enjoy the ride. Make sure you are at Pettigrew Green Arena early to enjoy all the pre game hype - giveaways and surprises for all. Limited seats so if you wish to come along you need to contact the HBDC Secretary email hbdeaf@clear.net.nz or text 027 8593238 by Friday 18th July. Come along and support this event, the more people that come the better it will be as well as showing our support to continue having captions at the movies here in Palmerston North. Visit Downtown Cinema's website for more information about ticket prices. Bring along your lunch and catch-up with the staff. Coffee/Tea will be provided. Game starts at 8.00 pm sharp! Home game v 4T. Bring along a plate to share for everyone! 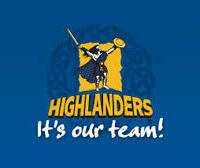 Reminder: Friday 4th July there is no club night as the Social team is travelling to Tongariro for pool. Good luck! Want to try something different? This is suitable for all fitness levels. Make sure you bring your ID and allow for extra time to get into Linton Army Camp. For more information go to www.triclub.co.nz. Parents, Do You Want To Have A Break From Your Kids? Why not encourage your kids to go along to the Music workshop from 1.00 to 3.00pm? This is a safe positive environment for your kids, there will be various events going on through the day. Youth Winter Glow Party will start from 8.00pm to 11.00pm, Doors open at 7.45pm - $5 per person. Natalie King is the new part time Community Relations Officer, she will be working alongside with Shannon prior to her leave in August. Natalie will work on Monday, Tuesday and in the morning of Thursday. Please pop in and welcome her. Shannon will remain here full time but with another different role as a Programme & Resource Developer. Hi, I am Natalie the new Part time Community Relation officer here in Wellington. I have from the UK and have been here since December. I am looking forward to meeting members of the community so please pop up to Deaf Aotearoa for drink and chat. You are invited to attend an open workshop hosted by the Public Services Association. When: Wednesday 23rd July 2014 9am-1pm. Cost: None with morning tea and lunch provided. Put together by the PSA's Deaf and disabled members network, this workshop will discuss the realities of exemption permits under the Minimum Wage Act and alternative solutions for the future. This workshop is designed to be an interactive and inspiring forum where the current situation regarding the legislative allowance for exemption permits to the minimum wage to be issued for disabled people is examined and critiqued. Two NZSL interpreters will be present throughout the conference. To register for the conference follow this link to our registration form. To see an overview of the workshop and more information head to our website here. We would like to hear from you if you want us to organise a workshop/course. Is there anything you would like to learn? Please email Shannon/Natalie. Can’t Afford That First Step To Buying Your Own Home? Dwell Housing Trust (Dwell) is launching an innovative shared home ownership scheme to assist families into buying their first home. Dwell are building homes in Wellington and we are now looking for families who meet our eligibility criteria to buy these in partnership with us. In a nutshell, the homeowner will buy from 60% to 85% of the market value of the property using their own deposit and a mortgage. Dwell will own the remaining percentage of the property. Over time, the homeowner will gradually step up to full ownership. To find out more about this very real and exciting opportunity please visit our website at www.dwell.org.nz, email us info@dwell.org.nz or phone 04 384 4854. If you are interested in applying we will need to hear from you before 25th July 2014. Dwell Housing Trust is a not for profit community housing organisation that has been providing affordable homes to families for over 30 years. This project has been supported by Wellington City Council. Come along and meet NZSL students who have been doing a course in NZSL. Please try and come along. When: Saturday 28th June at 11am. We are having our Mid-Winter Christmas lunch at Hangar58. Please arrive at 11am for a drink and catch up. The cost of the lunch varies from $10-$28. There is a visitor coming from the North Island to join us for lunch, we hope to see you there. Let Rachel the secretary know if you require transport. After the lunch there is a table booked at the Suburban club Raffle starts at 4.30pm then catch up and watch the Rugby game Crusaders VS Harricanes at 7.35pm.All welcome to join. When: Tuesday’s 2pm-3pm, starting on 1st July 2014. For further information please contact Susan Peters on 021 939 415. Light Nelson is set to brighten up the winter with an outdoor gallery of brilliant light installations, clustered around the lily pond and massive trees of the city’s historic Queens Gardens. In a collaboration of art, science and technology, over 30 artists let their creativity loose through a range of innovative media including laser technology, digital imagery, performance, music and poetry. This new art event on the Nelson calendar thrilled thousands of viewers last year. It’s an irresistible mix: a garden walk in the clear dark night of winter with magic moments of illusion, beauty, interaction and fun. What's more, thanks to huge sponsor support, admission to Light Nelson is free! Light Nelson builds on the move of contemporary art towards installation work and collaborative projects, with artists from different genres working together to produce multimedia works, as well as artists working with scientists, technicians and IT professionals to explore different ways of interpreting a subject. This is an event unique to Nelson, combining our artistic talent and strong sense of community. Buy ticket before 22 July. For more details see flyers or contact cantydeafyouth@gmail.com or www.facebook.com/CanterburyDeafYouth. July’s School Holiday – Something To Do In School Holidays? There are a lot of activities during the July’s school holidays in KidsFest. Visit their website or their Facebook page for more details. Please book in advance, if you wish to participate in the children's activities, as there are limited places. Our local CTV has begun televising a summary of the weekly news on the weekend in NZSL. Screening at 9.30 pm on Sundays – CTV News Week in Review with NZ Sign Language, is a roundup of top regional stories with signing provided by either Jeremy Borland or Liz Kay from iSign. CTV screens on Freeview 40, if you are unable to watch CTV on your Freeview – you can view the news at www.ctv.co.nz. Brydee is on holiday from 10th to 18th July. She will not be available for any bookings between those dates. Enjoy swimming, aqua jogging, exercising, or just relaxing at Dunedin's therapeutic pool. The water temperature is 35 degrees C.
It’s the last home game of the season so come support our boys as they take on the Chiefs. The annual carnival that delights chocolate-lovers with a week of irresistible chocolate events including chocolate tours, chocolate decorating, chocolate painting and chocolate facials, as well as the iconic Cadbury Crunchie Train. NZ Fire Service wants to remind you about the dangers of fire. Candles: Candles are romantic and lovely. But you need to watch candles as they can start fire if unattended and don’t leave candles unattendedGas heaters: Use indoor gas heaters only. Do not use outdoor heaters inside the house. Electrical blankets: Please check it is flat, that wires are not twisted or bended, and the cord is undamaged before you use them. Heaters: Put heaters one metre away from your things and the wall so they cannot start a fire from overheating. Sorry for the late notice, this was just brought to my attention. There has been a high number of fires in Southland recently. Six fires in total for just this month. I encourage those who have not got fire/smoke alarms to come in and apply for some equipment. You may be eligible to get some funding depending on your circumstances. Queenstown’s Annual Winter Festival is up and running for those who like a little adventure. Lots of family activities and adult entertainment. There will be free shows, live bands and much more. Check out the Queenstown Winter Festival website! The festival ends this Sunday, so check out the programme for the weekend. Clarification of services in the area and how funding works. NASC (Needs Assessment/Service Coordination) service.